Maybe two years ago after scanning the internet – I came a across Wes Champagne’s video on YouTube. It really looked like they were having fun using the Blacksmith Buddy! I woke up to the potential of the use in so many ways and got into contact with them as quickly as I could. Erin Baayen was in contact, and let me know of her plans to come to Europe to promote Blacksmith Buddy. I was able to meet Erin and her husband on a remote German Freeway. After a drive across country, and a farrier’s dinner next to the River Mosel, I introduced them both to a local Farrier School [M Rickus, Mannebach]. The owner happened to be my old boss and he had four young students doing their final 4 month stint before state exams. The students got ahold of the Blacksmith Buddy in their class room. After a short period of time the shyness was gone and they were trimming, shoeing, and removing shoes — and trimming again! Like ducks to water they got hold of the potential of Blacksmith Buddy. 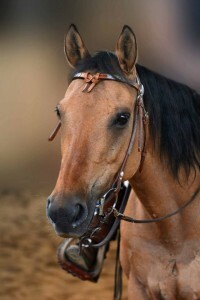 I grew up with horses; they were just “normal.” I remember riding behind the saddle as my big sister galloped over Suffolk stubble fields in the UK. My first paid job was cleaning out the stall at a local manor house, the home of three Dartmoor Ponies. I sure got a lesson for life: “Don’t leave for tomorrow what you can do today.” I cut corners for three weeks, covering up instead of really getting the stall clean. The owner of the manor did not sack me she just insisted in her old wise way, “It’s time to disinfect the stalls.” She walked away, leaving me struggling from 7 am to 6 pm until the stalls where empty. I was 9. I remember helping treat laminitis with cold water and cleaning tack. By the age of 14 other interests became more important. My mother always said I should become a farrier but I did not listen to her at that time. After college and many jobs I ended up in Germany in 1987. I traveled around but ended up taking over a small hold with loads of animals including five horses. The owners were off working for a Charity agency in Pakistan for three years. Riding the horses on the trail was no problem. I took tourists in the German Forests. It was great, but among the different tasks hoof care came up. These horses where barefoot where we rode. Because of this fact I was limited in what care was possible. The hooves needed trimming. With no knowledge at all I grabbed a rasp. I reached my limits very fast and was not happy with the results. For this reason I called a qualified local farrier to go over the horses and make sure I was not crippling them. This farrier offered me a job one day later. On the first day I started to pull shoes and clench nail. I had with no doubt found my “beruf” which means calling in German. Now 26 or so years later and lots of horses later I teach others to get an insight in one of the best trades on this earth. I sure wish I had had Blacksmith Buddy back then – it would have saved some my mentors’ headaches! I take Blacksmith Buddy with me to every place I go, and right away people are hands-on improving skills. 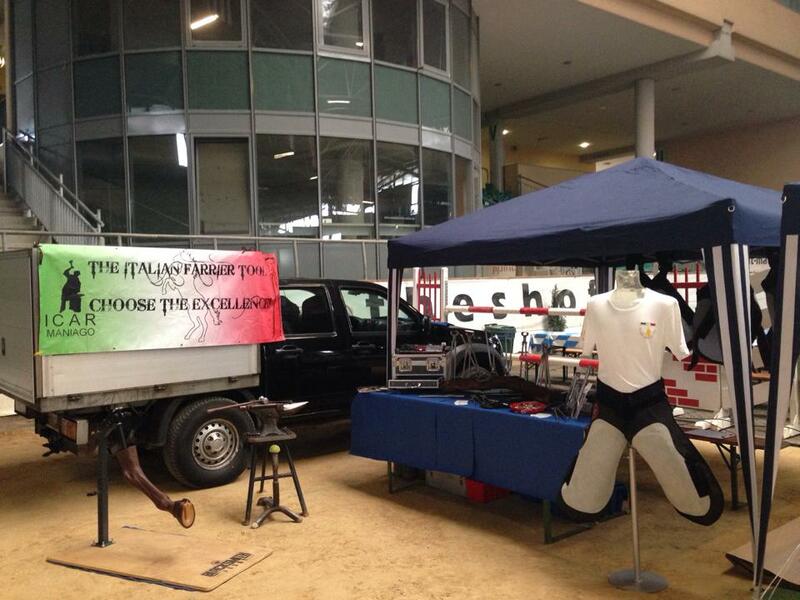 It is just great to see the faces of people as they see Blacksmith Buddy for the first time. They get a feeling for it very quickly and are amazed how realistic it is, both optically and in weight. 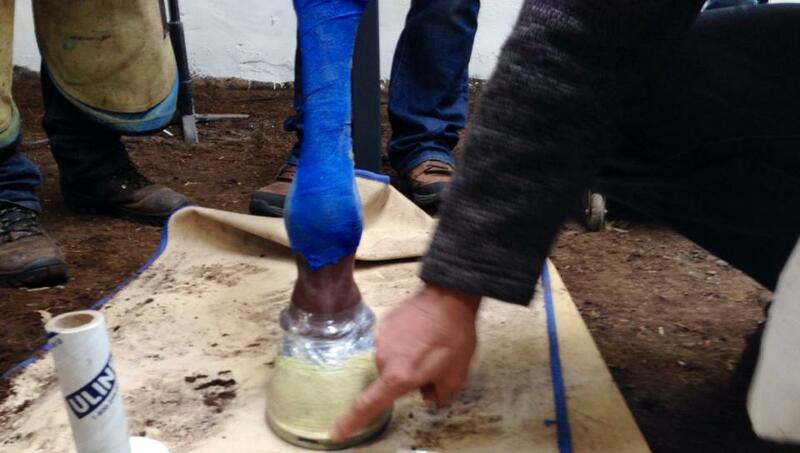 Owners or vet students can remove a shoe over and over again on the same hoof; it can be practiced with ease. As for trimming and testing the eye and for balance, it goes without saying. It is so easy for the teacher to make a hoof crooked and let the student return it to a balanced form without causing pain. You can practice knife handling and rasp training over and over again not to mention use of nippers. We have even trimmed it with toeing knives, a very much tradition in Germany. Nailing can be practiced over and over again. 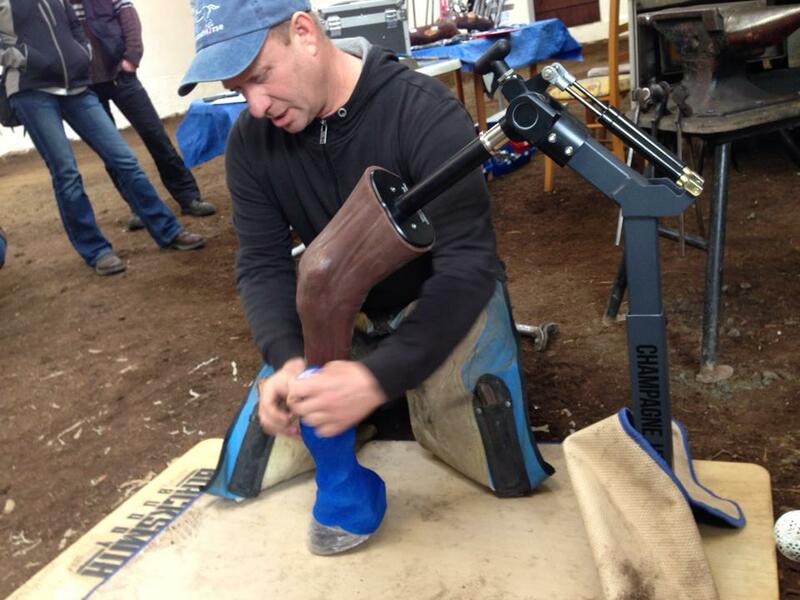 In the case when using glue on technology which for material costs is higher than steel shoes, Blacksmith Buddy gives farriers the chance to mix glue and set up the hoof, fit the glue on application, and glue on. This reduces the risk of making mistakes when doing the same job on a living horse and at the end of the day saves embarrassment and costs. The result is confidence to get the clients horse the best results. 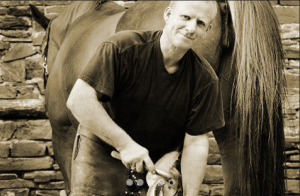 Farrier, body and soul, and over 25 years professional experience.